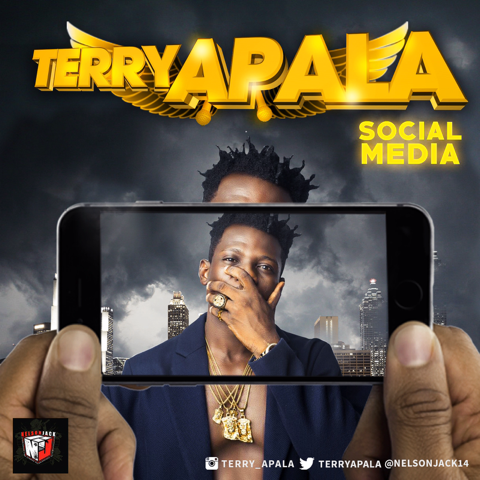 [MUSIC]: TERRY APALA - "SOCIAL MEDIA"
Following his selection as one of MTV Base’s artistes to watch this year, indigenous afro-pop/fusion artiste Terry Apala has released his first single of the year, a thumping mid tempo song called ‘Social Media’. In his signature Apala Hip-Hop style, Terry sings about the unrealistic portrayal of their lives that social media encourages people to do for public affirmation. Despite the strong moral message, Terry’s delivery on the Pitch produced track is sure to make it a fan favourite. If this is any indication of what he has in store this year, it is truly going to be the year ‘Two Thousand and Apala’. 'Social Media' is available on iTunes and all digital platforms.